3D audio recording(4mics) up to 145db (v20 132db 3mics, Xperia 130db 2mics). Congrats on being still premium. AnonD-155109, 30 Nov 2016Could somebody help me out if its worth moving to Microsoft from an android device ? I need ... moreWindows store has all the necessary apps, windows store wont disappoint you, you ll get regular software updates plus these specifications are great for windows 10 mobile, you must give it a try. 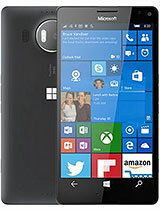 Microsoft Â’s Lumia 950 XL is the firm latest flagship phablet and the first flagship mobile developed by the Microsoft Mobile Devices Group. It is a powerful gadgets that comes with hight level of specification, a decent design, and other features like Iris Scanner and Continuum. AnonD-155109, 30 Nov 2016Could somebody help me out if its worth moving to Microsoft from an android device ? I need ... moreI would suggest you wait till their new Surface Phone is out as by then even the software glitches might be solved. 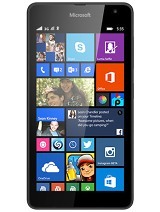 Else someone who has been completely an android fan shifting to Microsoft might face a little discontentment. This is my personal view though i am a Microsoft fan. 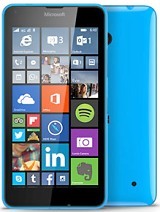 Could somebody help me out if its worth moving to Microsoft from an android device ? I need a change and im a bit confused cause i dont know if i can find all the usefull apps in the Microsoft store ? Does the company innovating its store or just "once a year " kind . whats is the Microsoft free one drive space for 950XL please ? ok, 01 Nov 2016The only bad things about this is the apps and it bends really easyNot mine!! !its not a cushion!! !dont sit on it!! !no front packet!it's not a small phone.loose back pocket ok,but I wouldn't do it. Ehsan, 16 Nov 2016guys just short answer buy it or not? !just buy it!! !I use all the other ios devices.this one stands up to any other !!! Tanvir, 16 Nov 2016I want to buy this phone.anyome suggest me that this phome is goodbor bad plz plz plz plz.i ne... moreIt's a sweet phone!easy to learn,very smoothly running.smart set up. Tiles Are customizable.easy access to apps.runs like a blackberry.fast support from a Microsoft.great camera. 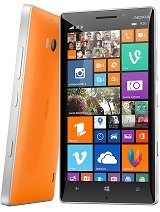 is Microsoft really stop supporting this phone?? 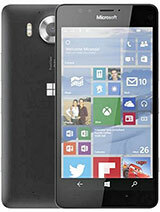 is Microsoft really stop supporting this phone??? Carol, 12 Oct 2016For videos: Ach player, or flv player (the first is a nifty little tool, that sadly does not h... moreI prefer Awesome Tube over MyTube as it provides more features. Its features are almost same as the official YouTube app, and it lets you upload videos to YouTube. anonymous, 15 Oct 2016The HP Elite x3 is more powerful than this & also uses Window 10.But it costs a fortune. 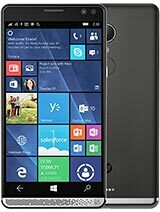 Better go for Alcatel Idol 4S Windows 10 Mobile Edition, it has same specs as Elite x3 and costs cheaper than 950 XL. Ehsan, 16 Nov 2016guys just short answer buy it or not? 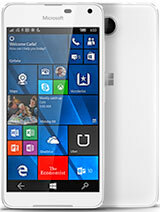 !It's a good phone but as of now it's no more worth buying, you can get the Alcatel Idol 4S Windows 10 Mobile edition with Snapdragon 820, 64 GB storage, 4 GB RAM and stereo speakers at a lower price, of course its camera isn't as good as Lumia 950 XL but it ain't that bad either, it's $30 cheaper than Lumia 950 XL. I've had my 950XL for about 6 months now and I absolutely love it! It's the best phone I've ever had. I wouldn't go back to an iPhone for anything. Tanvir, 16 Nov 2016I want to buy this phone.anyome suggest me that this phome is goodbor bad plz plz plz plz.i ne... moreIt is a very good phone I tell you. Excellent functionality. 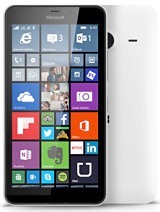 Total of 1639 user reviews and opinions for Microsoft Lumia 950 XL.